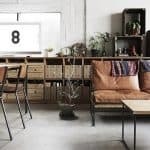 Turning from the decoration of the room to the decor, many people begin to rejoice at the opportunity to realize any, even the most non-standard ideas. Lighting (both natural and artificial) is an important part of the design of any room. 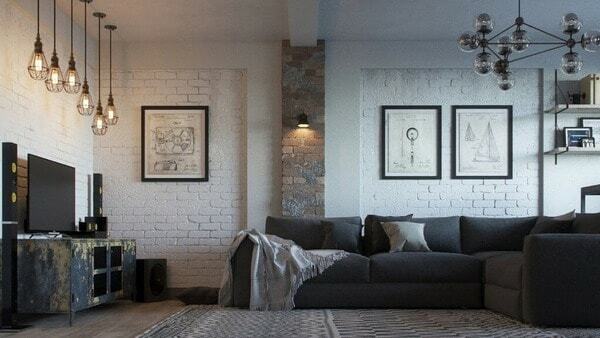 It helps to create the right accents and emphasize the features of the interior decor trends. Not a single room in a house or apartment is complete without artificial lighting. Therefore, the choice of a beautiful chandelier is an obligatory stage of any repair. Modern chandeliers play not only a practical role, but also are an important decorative element of your interior. How to choose the right type, shape and style of the lamp? We will discuss this further. Design trends, like any other style trends, are usually cyclical. At times it may seem that, just as quickly as new forms and styles appear, they are again deposited on the far shelf, until some designer returns to them in search of inspiration. And the interior lighting – including lamps, chandeliers, pendants or wall lamps – is no different. Geometric motifs. Clear and concise lines and the direction of light allow you to create bright accents in different sides and parts of the room. Combining multiple materials. A wide range of chandeliers is primarily due to a large selection of materials. This may be plastic, glass, metal, wood, and so on. Now imagine what a variety of lighting devices you get when combining several materials in one product (for example, metal and wood, or metal and glass). Such decorative elements look very original and attract attention. Black color. Dark shades look very contrast and stylish. 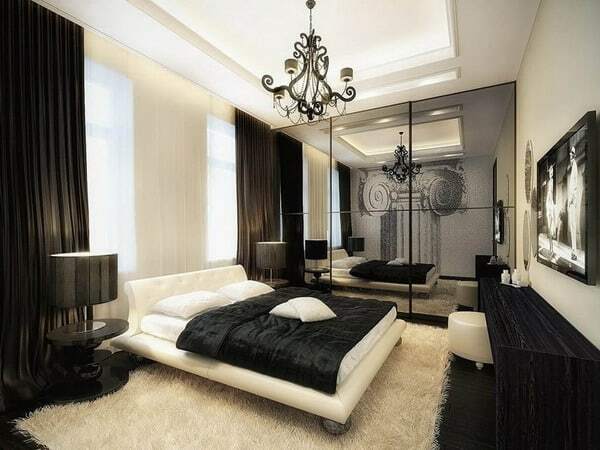 That is why black chandeliers are now at the peak of popularity. Moreover, this color is relevant for any room design. It goes well with both bright and more restrained interior design. The bigger, the better. Designers suggest abandoning the idea that there should be only one chandelier in one room. 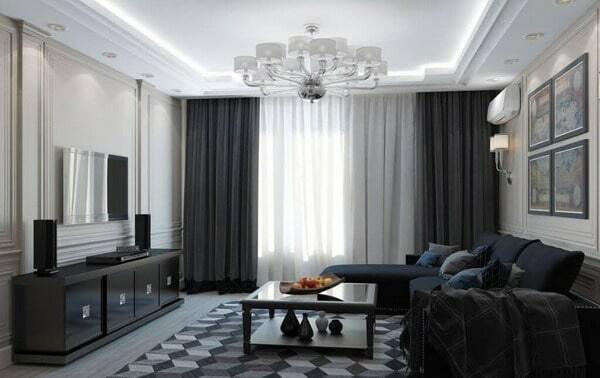 Therefore, if the room parameters allow, try installing two large lighting fixtures. They will not only become a bright accent in the room, but will help to zone the space. main or additional decorative element, etc. Where exactly will the lighting fixture be installed? To different rooms of the house there are absolutely different requirements in terms of artificial lighting. For example, in the kitchen or in the living room it is necessary to provide the most bright light. 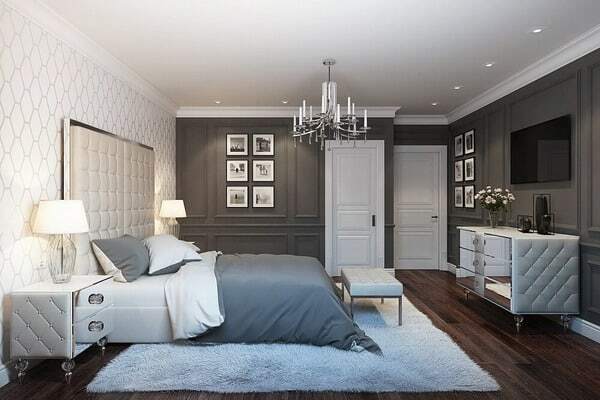 While the chandelier in the bedroom should give a softer and dimmed lighting. The area of the room. When choosing a chandelier for the living room or bedroom, it is also important to assess the size of the room. In small rooms you can do with one central lighting fixture. For large spaces, you need to choose either a round chandelier with a large number of light bulbs, or else think about additional lighting systems. Chandelier color palette. It is important to focus on those shades that are present in the interior. A beautiful chandelier can be either a bright accent that stands out against all other objects, or have more neutral colors that blend harmoniously into the room. Lighting color. In some rooms (for example, in the kitchen) it is recommended to install cold lighting, which will give the most bright light. So it will be easier to do cooking. 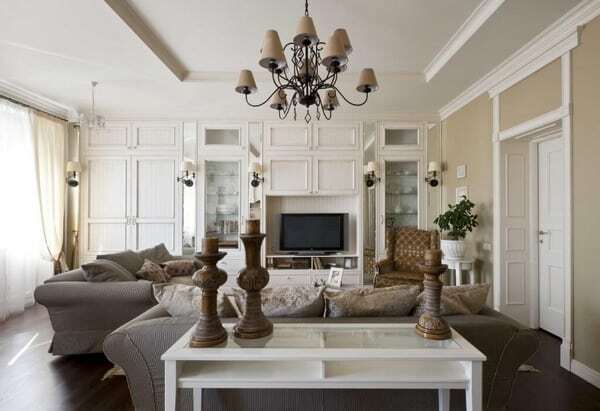 But choosing a chandelier for the living room, you can stay on the light bulbs with warm light. They give comfort and homely atmosphere. Perhaps the most classic version of the chandelier in the interior of the room. Due to its complex structure, it can become the only lighting fixture in the room. Similar products on a special strong decorative chain fasten. This adds luxury to the lamps and allows them to look elegant and elegant. In addition to the chain, a string or string can also be used as a decorative pendant. Among the materials that are used for the manufacture of hanging chandeliers, the most common metal, textiles, plastic, glass, crystal, wood. Each individual version is selected depending on the style direction of the lamp. Suspended structures are single-tube or multi-bulb. The first option is actively used in small rooms, such as a corridor or kitchen. The second is more appropriate look in the bedroom or living room. It is important ! The design itself of the pendant chandeliers can look rather unreliable and fragile. Therefore, when choosing it is important to pay attention to durable materials and to allow time for high-quality installation of the lighting device. In most interiors, the chandelier is the main lighting in the room. Therefore, her choice should be treated fairly carefully. 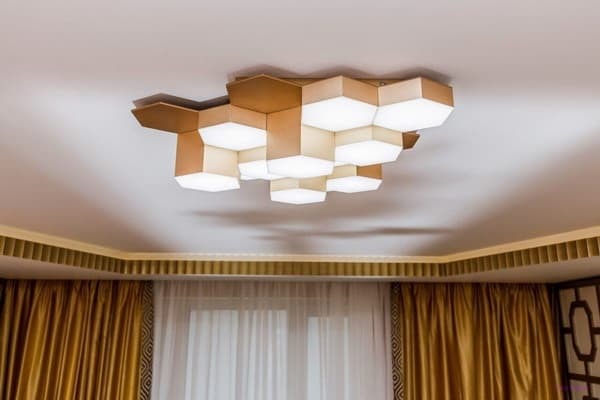 If suspended structures look bright and unusual, which makes them suitable mainly for large rooms, concise ceiling lights will be an excellent solution for small spaces with low ceilings. 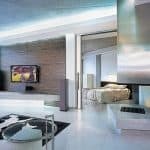 These are the rooms in the house, which, as a rule, have a small area, and therefore require more practical lighting fixtures with a minimalist design. It is important ! Special attention should be paid to the directivity of light. Ceiling looking at the ceiling will give a diffused and soft light. At the same time, lighting fixtures with their ceiling facing downward will provide brighter, more focused lighting. It is important ! In some ceiling lights, it is possible to adjust the direction of the light by scrolling the ceiling lights. This is especially true for zoning rooms. Choosing a stylish and beautiful chandelier in the room, you need to pay attention not only to the type of lighting fixture, but also to its style design. After all, the product must fit harmoniously into the common space. First, determine the style in which your interior is made. 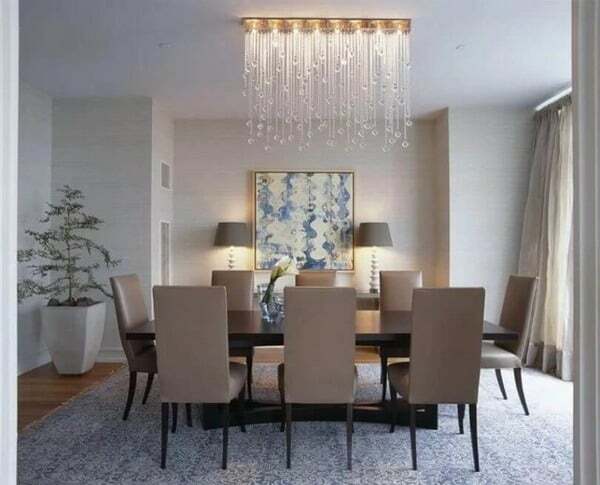 It is unlikely that you will want to install a massive textile chandelier with floral elements into the room in a high-tech room (although, if you are a supporter of mixing interior styles, you can play this technique well in the interior). stylish products that emphasize a certain room design and even become an accent element. These are luxurious lamps that highlight the elegance of the interior. You can accurately distinguish such models of lighting devices from other types of design. First of all, classical chandeliers are distinguished by the material from which they are made. As a rule, natural wood or metal is used for this purpose. Manufacturers use high-strength glass or crystal as decorative inserts. 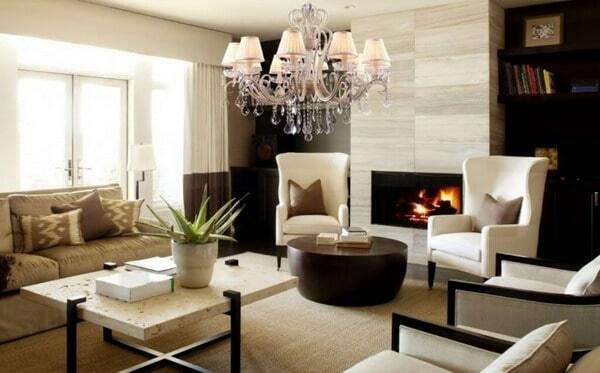 In the classic living room chandeliers you will not find plastic or artificial material imitating wood. Even for textile lamp shades are used dense expensive natural fabrics. Such lighting fixtures are distinguished not only by their luxurious appearance, but also by their long service life. The fact is that for their finishing brass, bronze or even silver is used. More expensive parts and designs of such a plan are made by hand and have a unique design. The main feature of the classic designs is the presence of several lampshades. Often they are complemented by glass or crystal pendants. The most commonly used classic chandeliers in the living room. This results from the fact that the hall, as a rule, is the biggest room in the house. 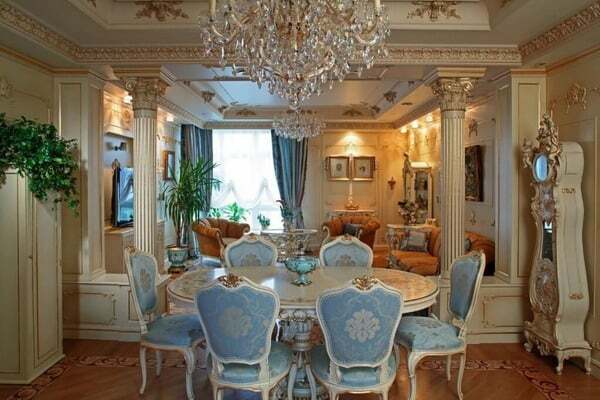 A luxurious crystal chandeliers in the interior have considerable dimensions. Therefore, placing them in, say, a corridor does not make sense. If the area of the rooms allows you to hang a classic lighting fixture, you can install such chandeliers in the kitchen or in the bedroom. 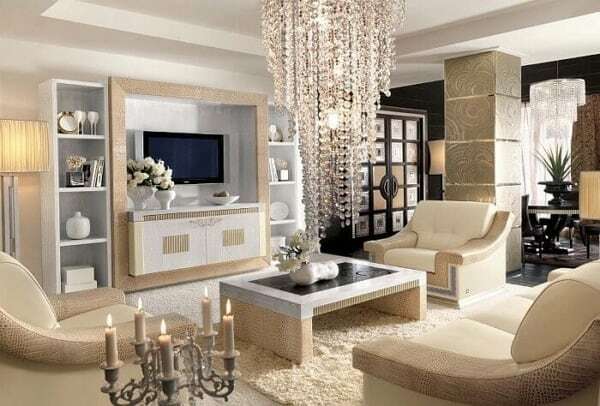 However, in this case it is important that the rest of the room decoration also looks luxurious and expensive. Provence – a style that conveys the atmosphere of small villages and towns of France. Provence style lighting fixtures are wrought metal chandeliers with several shades or one large lamp shade. The textile part of the lamp has bedding colors, and the metal base is characterized by characteristic abrasions. 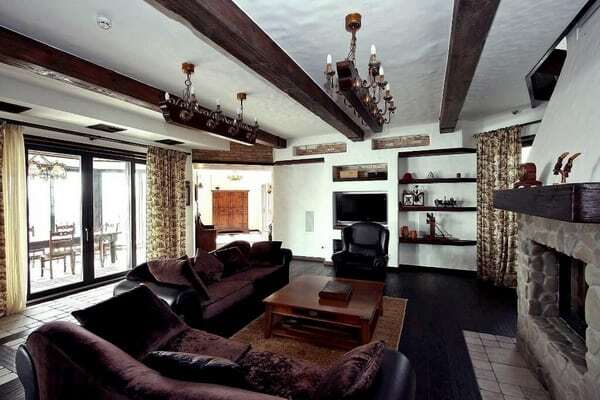 The chalet is a style that conveys the atmosphere of alpine village houses. For these chandeliers is characterized by the use of natural materials. Their base, as a rule, is made of metal and has forged decorative elements. Externally, such beautiful chandeliers resemble lamps of the Middle Ages. They are equipped with candelabra with a large number of bulbs that look like candles. Initially, the loft-style rooms had rather high ceilings. Therefore, there is no talk about ceiling lamps – the most relevant are exclusively suspended models. 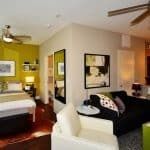 However, today the loft is a common style of the interior, which can be used when designing small spaces with low ceilings. So this requirement for loft-style chandeliers has disappeared by itself. Now you can safely consider the two main types of devices – suspended and ceiling. The minimum number of decorative elements. Often as the main source of light used ceiling or pendant chandeliers, made in the form of spotlights. The most common options for loft-style fixtures are glass and aluminum. 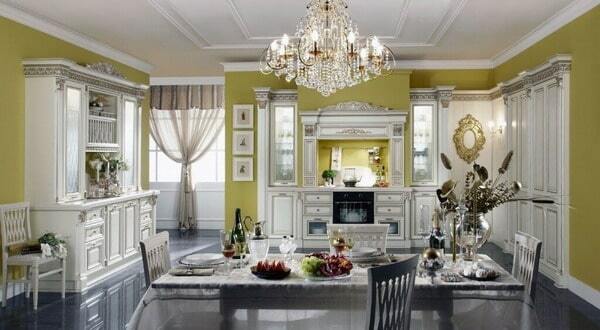 For more luxurious options (if you want the chandelier to become an accent in the room) you can use crystal products. The Art Deco or Baroque chandelier is a luxurious lighting device made primarily of crystal. 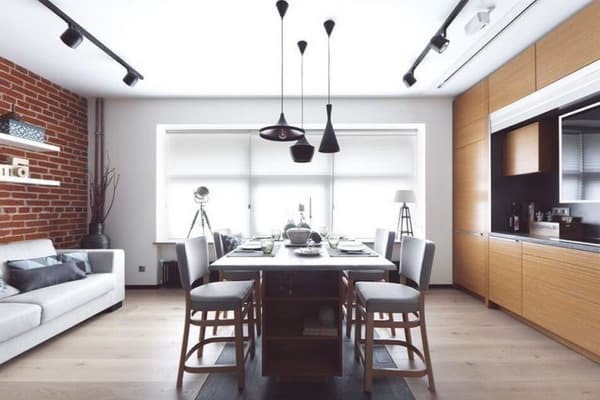 Due to the large number of decorative elements and a few light bulbs such products are recommended to be placed in large rooms with high ceilings. Here you will not find most modern materials (for example, the same plastic). The basis for the chandelier should be made of metal, and the lamp itself is decorated with wrought iron elements. Tip : Since the lighting fixture is usually complex in design, we recommend that you choose lamps of artificial lighting. Bright white light, which is widely used today, in such a large number can make the interior of the room uncomfortable and expressionless. In itself, the modern style appeared on the basis of the classical. He managed to harmoniously combine the traditional look of the lamps with a blotch of bright and extraordinary decorative elements. Art nouveau chandeliers are presented with products with asymmetrical lines and gentle curves, which are combined in original forms. The most common materials for such lighting devices are glass and metal. More expensive designs are made from wood, bronze, silver, or even animal bones and horns. In the age of high technology (High Technology), high-tech style deserves special attention. 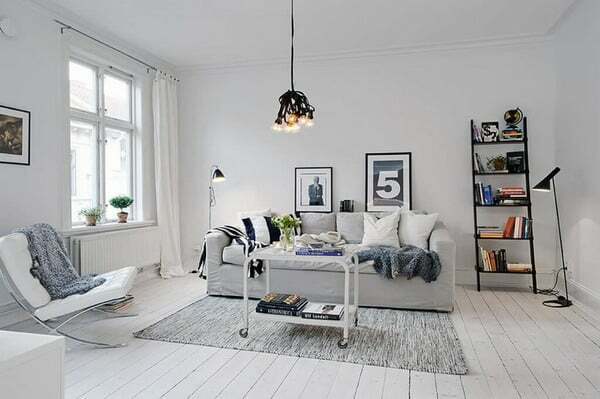 Its simplicity and conciseness are appropriate in both large and small rooms. If you describe this direction in two words, then an oxymoron “complex simplicity” is perfect. This is exactly what is necessary for modern man – a combination of practicality and original design of all furniture items of decorative elements. High-tech chandeliers do not have fancy decorative inserts. These are rather lamps with laconic geometric shapes, made of metal in a cold shade (so forget about bronze or copper). Smooth lines in such lighting fixtures are rare. It is rather an ode to cubism with its abrupt transitions. Among the most common materials are glass, plastic or metal (mainly aluminum or steel). Chandeliers in high-tech style completely abandoned textile lampshades with patterns and prints. As decorative elements here are used inserts made of crystal or rhinestones. Minimalism is somewhat similar to the previous style direction (hi-tech). He also does not welcome fanciful and massive lamps with an abundance of decorative elements. As the name implies, fashionable chandeliers made in minimalism style are distinguished by laconic and simple forms. Discard lighting fixtures with ornate elements or complex non-standard shapes. Here, preference should be given to geometric shapes and straight lines. 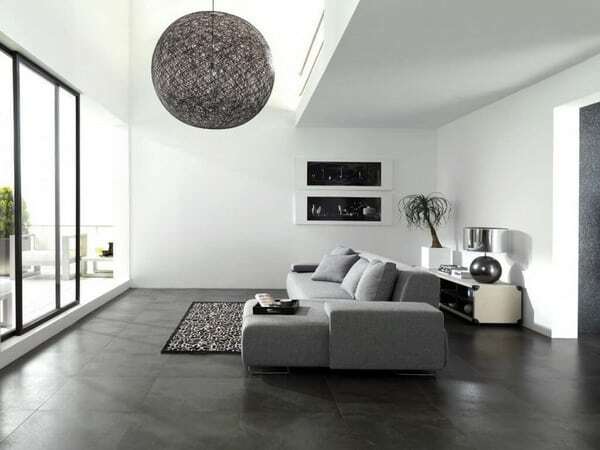 The most popular materials for lamps in the style of minimalism are glass, metal or plastic. Fabric shades in this direction are completely irrelevant. 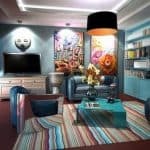 The modern world of interior design is filled with bold and original solutions that allow you to create an individual interior for each person. And chandeliers are no exception. Depending on the characteristics of the room and your personal preferences, you can choose both classic and extraordinary designer lighting. Let’s look at how modern fashion chandeliers look like in 2020. We picked up photographs of lighting in various rooms of the house or apartment. 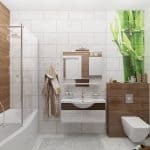 Just take a look at these options – sure that they will give you inspiration and push you to experiment with the interior design. Choosing a chandelier in the living room, kitchen, bedroom or in another room of the house, it is also important to determine what will be the additional sources of lighting. After all, often the main lighting device may not be enough. Therefore, we must take into account the fact that the chandelier should be harmoniously combined not only with the main interior, but also with floor lamps, table or wall lamps. Anyway, any piece of furniture or decor should be selected first of all, based on your personal preferences. Only in this way you will get not only stylish, but also (most importantly) comfortable interior of your home.